AAMA pleased to announce that we have received a generous grant from Google.org to conduct a needs assessment (the “Assessment”) in Columbia, South Carolina, Gary Indiana, and Long Beach, CA (the “Cities”). The cities identified have workforces vulnerable to job loss and populations between 100,000 and 500,000, as well as substantial black and Latino communities. We found it important to partner with diverse leaders to uplift this project as the focus is on black and Latino workers. Accordingly, two of the cities, Gary and Columbia have an African American mayor who is a member of AAMA. In addition, Long Beach is lead by a Latino mayor, who is a member of NALEO Educational Fund, a partner on the project. An analysis of opportunities for industry growth will be based on projections such as: industry growth in cities and towns with similar resources, geographic and demographic profiles; growth that may be complementary to growth taking place in proximate cities and towns; or growth that is consistent with state or federal funding initiatives. AAMA will work with our partner on the project, Charles Hamilton Houston Institute for Race & Justice at Harvard Law School (CHHIRJ) to share the Assessment at relevant gatherings of mayors including but not limited to a forum a Harvard in 2019, the 2019 AAMA Annual conference; regional meetings of African American Mayors; and through strategic partners. The final report will be available in early 2019. Thank you to Google.org and our partners for partnering with us on this important project that will provide important insights on how to prepare our cities for the future of work. Recently, President Obama took historic executive actions on immigration. While many of you have already taken action to support these measures, we encourage all Mayors to unite forces by signing on to the cities and counties amicus brief being filed to the Supreme Court. Atlanta Mayor Kasim Reed and Birmingham Mayor William Bell both serve as co-leaders on the brief. Seize the opportunity to be a national leader on immigration and join them on this monumental step forward in the litigation. When EPA created the Office of Environmental Justice (OEJ), new tools were developed for the purpose of engaging and working with communities, including segments of the public that are underserved. Community planners and other allied professionals may be less familiar with the tools developed over time by OEJ to strengthen public involvement; encourage community action for a renewed environment; or advance collaborative problem solving. For this webinar, expert speakers will explain how environmental justice is a forward-thinking, sustainable approach. Participants will learn how citizens and professionals are making a visible difference in communities across the country through environmental justice. Presenters will show why a discussion about environmental justice is important given the renewed focus on social equity and planning among professionals. The webinar will reveal environmental justice is a planning issue, and there is a suite of promising practices which target the nexus between environmental justice and community planning. · Tools, practices, and funding programs that will improve the proficiency of planners when working with underserved communities. · Techniques for encouraging environmental justice that can be integrated into place-based efforts. · Key strategies and best practices for addressing issues which target the social pillar of sustainability. Join the Planning and the Black Community Division of the American Planning Association; the Planning Webcast Series Consortium; and the U.S. Environmental Protection Agency’s Office of Environmental Justice for a conversation on environmental justice. Confirmed speakers for this webinar include Charles Lee; Marva King, PhD; and Carlton Eley of the U.S. Environmental Protection Agency as well as Mildred McClain, Ed.D. of The Harambee House, Inc./Citizens for Environmental Justice. The conversation will be moderated by Carlton Eley, U.S. EPA Office of Environmental Justice. For more information about the webinar’s content, please contact Carlton Eley at eley.carlton@epa.gov. For registration questions or technical issues, please contact Benjamin Frost at bfrost@nhhfa.org. Past and upcoming webcasts scheduled are available at http://www.utah-apa.org/webcasts. This webinar is part of a series leading up to the 6th Annual Equitable Development Workshop at the New Partners for Smart Growth Conference – http://www.newpartners.org/program/equitable-development. Please join us for a brief Affordable Care Act (ACA) Enrollment Kick-Off Call This Friday. Representatives from the White House and the Department of Health and Human Services will be available to answer your questions. Open enrollment for the ACA healthcare market place begins on November 15th at healthcare.gov, and AAMA is committed to having our mayors at the front lines of enrolling the nation’s uninsured. 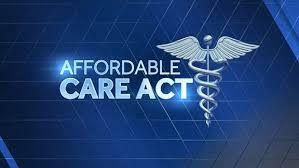 Please make time to hear the latest ACA updates. Your staff and ACA point persons are welcome to dial-in as well. These grants will focus on the president’s job-driven training checklist principals—labor market data, career pathways, work experience, access to training, and key partnerships—to ensure that public housing residents are connected to programs with the most accurate and updated job-seeker practices. Applications are due by Dec. 17, 2014. For more information and to apply, click here. The United States has for decades invested in the health of Africa’s people, helped train its health and science professionals, and partnered with Africa to meet shared challenges. As the world’s largest donor to global health, we are committed to working with African governments to improve the health of their citizens, and to reaching our goals of achieving an AIDS-free generation, ending preventable child and maternal deaths, enhancing global health security by preventing, detecting and responding to infectious disease threats, and supporting countries as they invest in the health of their own citizens. The United States welcomes the incredible gains in health that Africa has achieved over the past 20 years: HIV occurrence has been cut in half; tuberculosis (TB) and malaria deaths have been reduced by 40 percent and 30 percent, respectively; 50 percent fewer women die giving birth; and 50 million children’s lives have been saved due to better access to primary health care, better drug supply chains and access to skilled health care workers. In particular, we welcome the fact that African governments continue to increase their own domestic investments in public health, and to work with us and other partners to build the sustainable and effective public health systems that can serve the interests of their people and lay the foundation for strong and inclusive economic growth. However, there is still more to be done. In 2013, 1.9 million people were newly infected with HIV, 207 million were diagnosed with malaria, and one-in-ten children did not reach their fifth birthday. Between two to three million children die annually from vaccine preventable diseases. Women suffer disproportionally from inadequate health system capacity; 25 percent of women of reproductive age who are married or in a union have an unmet need for family planning and 287,000 women die during childbirth. Non-communicable diseases (NCD) are also on the rise, and heart disease is the single largest killer in Africa. The ongoing Ebola outbreak in West Africa underscores the need to build Africa’s capacity to prevent the emergence of global health threats, to detect threats early, and to respond rapidly and effectively. With our partners in Liberia, Sierra Leone and Guinea, the World Health Organization and countries all over the world, the United States is responding rapidly and effectively. We are sending additional experts from our Centers for Disease Control to augment the team that has been on the ground since March, and will work with partners to control the outbreak even as we increase assistance to those in need now. As the crisis subsides, the United States will host our international global health and regional partners to consider how we can together “build back” and speed up the recovery of these countries’ public health sectors.